Edmonton Real Estate Investor: Batten down the hatches. With the sun shining and summer in full swing, it's hard to imagine winter being 3 months away… I want to remember these seasonal changes (the cycle) and do my property maintenance now, so that I’m prepared for winter. I want to prepare now, for the next real estate cycle (downturn) that is coming. It’s not good or bad, it just is. You can take advantage of ridiculously low mortgage rates, conservative buys and position yourself well with rental properties during the next buying period. The first and most important thing is to carefully analyze your portfolio. What properties are doing well? Are there properties that are slowly leaking dollars like a dripping tap? If so how can you fix them? Give lease incentives or rewards for rents paid on time, or even the best garden. Increase your revenue by adding rental units to your properties or other moneymaking add-ons like renting garages separately, extra parking spaces or coin-op laundry facilities. You can also refinance your mortgages with longer amortizations, increase rents where reasonable or rent your properties furnished. Is your property management up to par? Are you getting discount rates for a big portfolio? If you have few properties are they being managed in a way that will help you grow your portfolio? Are their rates competitive and are they keeping your property in excellent resale condition? Streamline your team. I don’t mean fire everybody and do it all yourself, but rather make your team out of the best players available in your area. Once you have the all-star team, get their input and advice, use their knowledge and experience to protect and improve your assets and your position in the market. Accountants can help you lower your taxes, lawyers can protect your assets, bookkeepers keep you aware of money liquidity and property management can up the cash output of your investment property. Be aware of longer-term trends and statistics. Don’t get caught up in the moment—especially when making decisions. There are both positive and the negative things that are happening in headlines. Take both sides into account and be realistic as you evaluate what’s really going on. Review your business plan both short-term and the long-term and adjust it as necessary. Don’t knee-jerk react, but also don’t drift back and forth without any solid goal in site. Have multiple investment strategies all with a clear exit in place. This is not the first economic downturn the world has seen nor will it be the last. What is important is to mind your business and your properties to make them profitable no matter what comes your way. This massive Side by Side duplex features separate (not legal) suites down. 1963 built, located across from park. Walking distance to Parkview School and less than 10 minute drive to West Edmonton Mall. Close to downtown and Whitemud. Good access to downtown and transit. This property has separate entrances to each suite; 2 X 3 bed and 2 X 2 bed, double garage, plus pad. This property was purpose built and is in fair condition. Investment capital excludes $15K (PPI) budget slated for further renovations to modernize, improve value, aesthetics and rent-ability. The funds are returned at end of renovations once bank appraisal is complete. 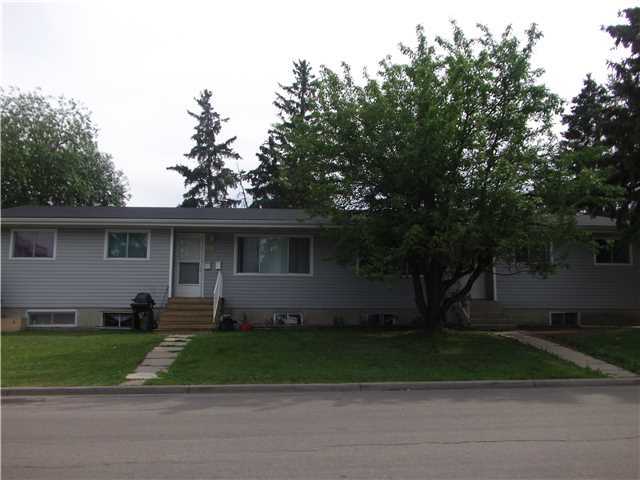 Comes complete with great tenants making this a totally turn-key property for you. Sherwood is a mature neighbourhood that is desirable for tenants working in the west end of the city. HUGE upside potential due to the great purchase price, strong economic fundamentals and the proximity of this property in relation to Edmonton's desirable growing core. One of Canada's most influential tax experts is pushing for a new tax in Alberta. Dr. Jack Mintz, who is currently on the Economic Advisory Council for federal finance minister Joe Oliver, spoke Monday during a business luncheon to the Rotary Club of Edmonton. Mintz was invited to give his views on the economic and social priorities of Alberta's new government. EDMONTON, AB – A colleague suggested to me recently that Alberta should stop talking about diversifying its economy. Instead, he said, we should talk about broadening the economic base. Of course, the province’s economy is diversified now – somewhat. Alberta, a province with a population of about four million, has been dominating the country politically and economically for the past decade. But with tanking oil prices, industry layoffs, pipeline leaks, agricultural disasters and NDP political successes, many in the rest of the country are feeling a sense of schadenfreude: the delight in Alberta’s economic — and political — misfortunes.